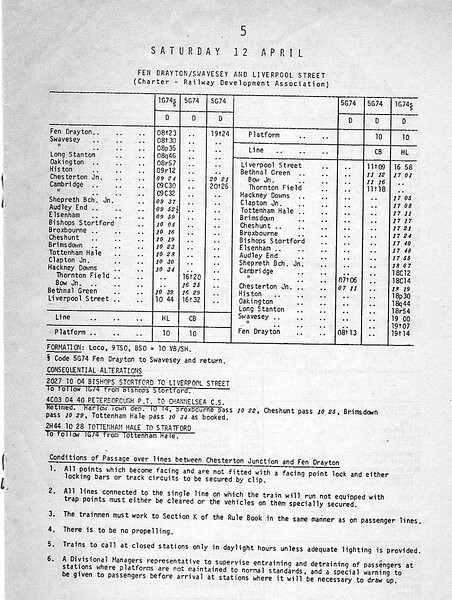 Extract from Mandatory Trains Notice, working timetable,12th April 1980. Railway Development Society special, Fen Drayton to Liverpool Street. Outgoing trip hauled by 37097, return trip 31313.